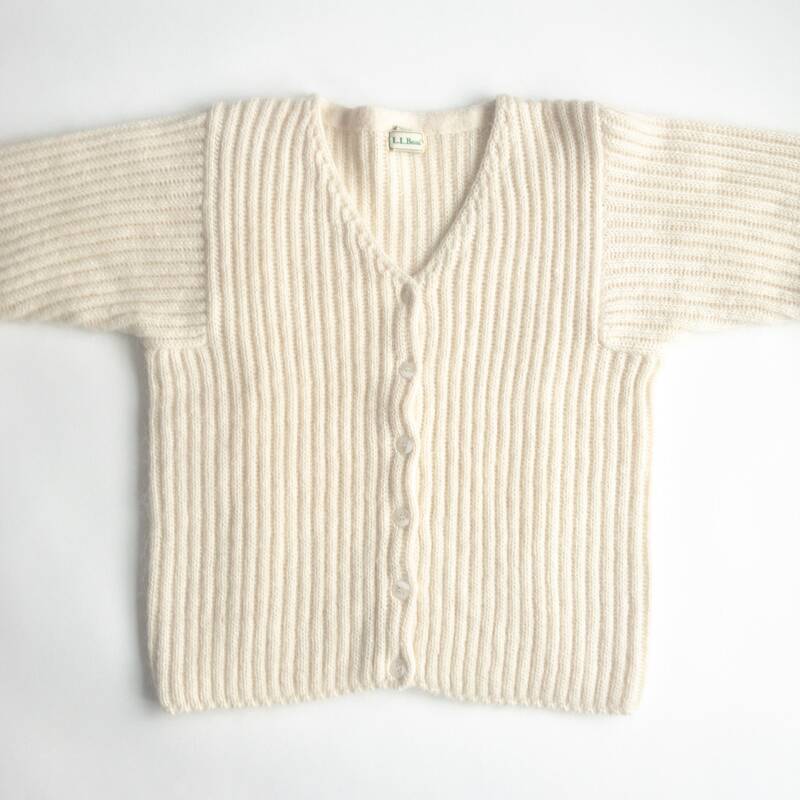 a vintage ivory ribbed cardigan from l.l. bean. so thick, fuzzy & cozy! 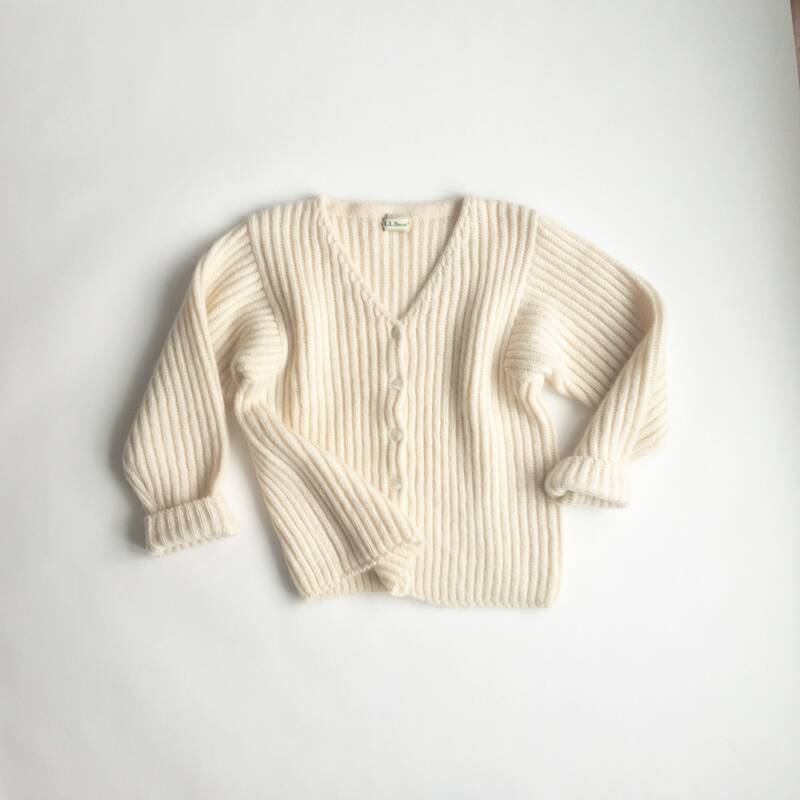 mohair blend. 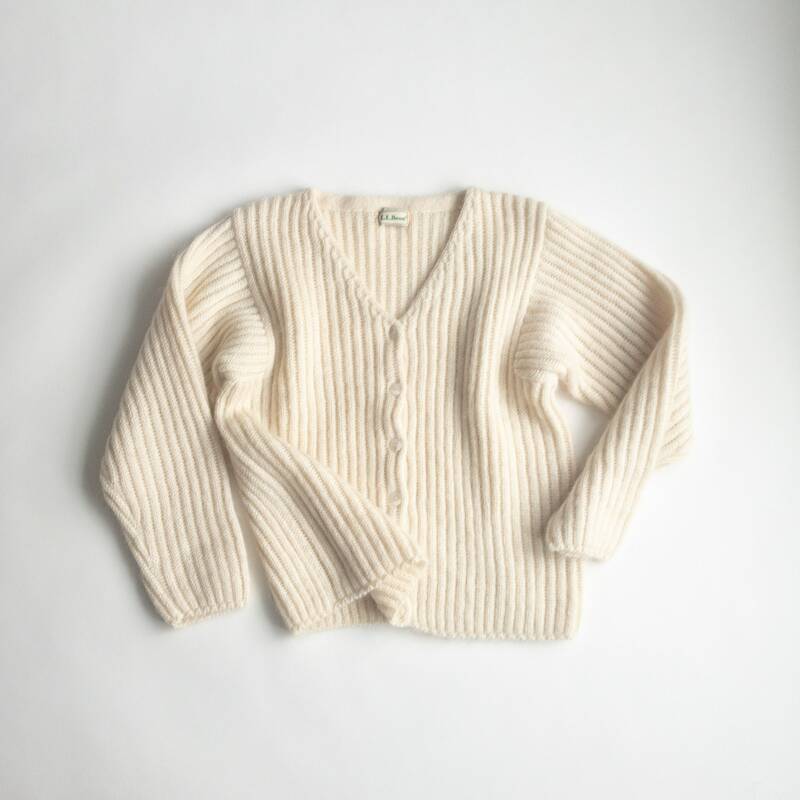 v-neck with button front. 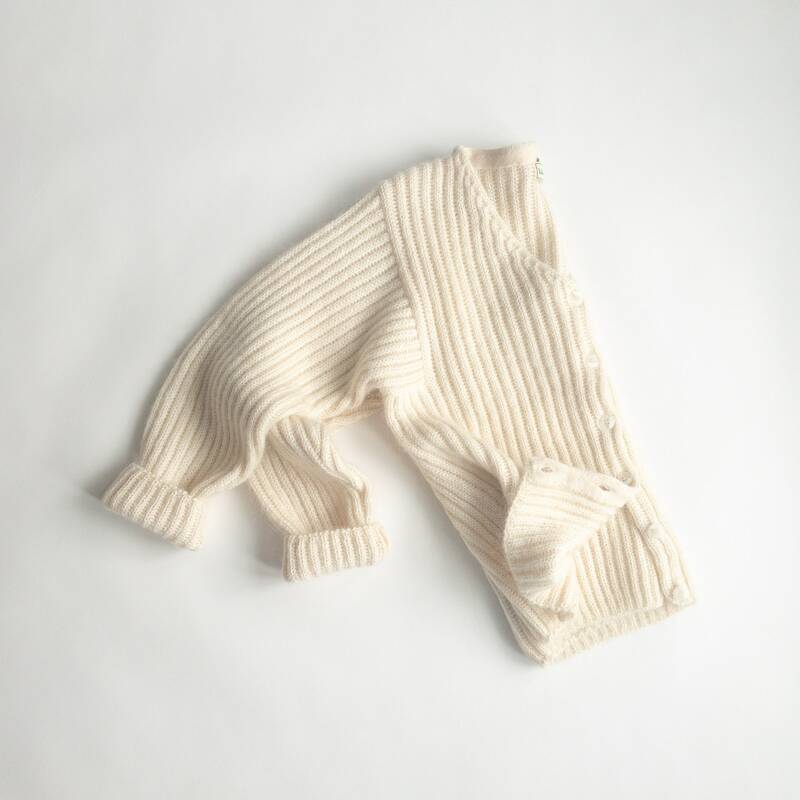 long sleeves with contrast ribbing. 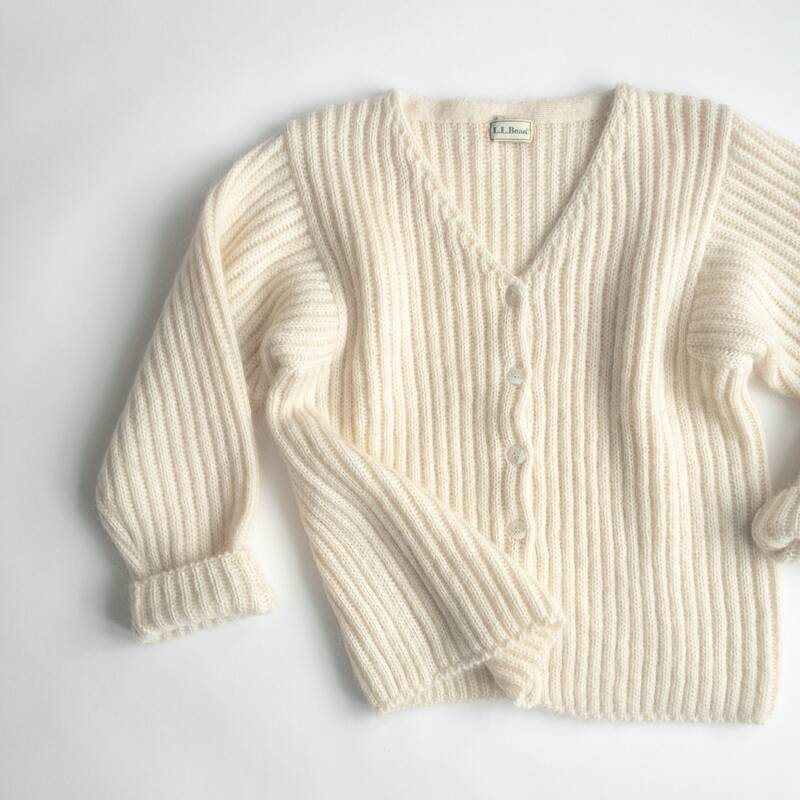 center back neckline to bottom hem: 22"
CONDITION / excellent used condition- gently worn with overall fuzziness on account of the mohair blend. no other noted flaws.